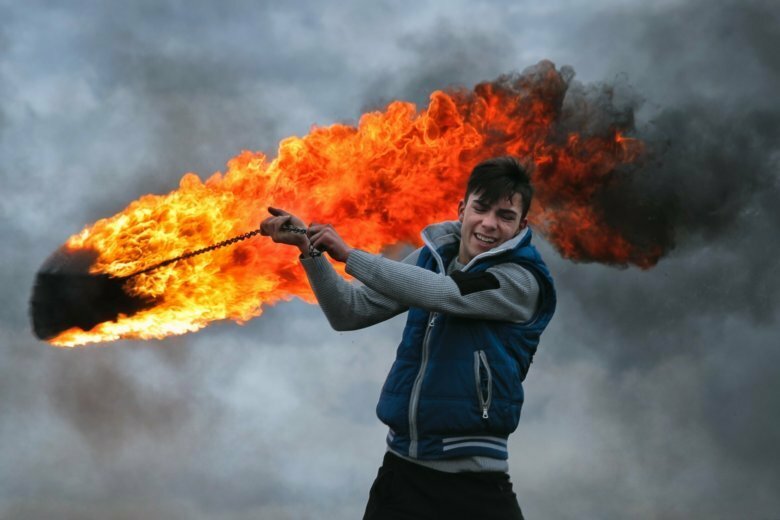 POPLACA, Romania (AP) — Romanian children and youth spin burning tires and light fires in the Transylvanian hills in a ritual that marks the beginning of Orthodox Lent. Dozens of young residents gathered on a hill outside the village of Poplaca, in the foothills of the Cindrel mountains on March 10, a day before the annual “Clean Monday” ritual, which is traditionally believed to ward off evil spirits before the onset of Lent. As night fell, teenagers spin around flaming old car tires attached to metal chains, spraying burning rubber and making loud noises. The children, some with their faces blackened from soot, jumped over fires during the festivities outside the village, about 315 kilometers (200 miles) northwest of Bucharest. Orthodox Christians celebrate Easter on April 28 this year, a week later than Western Christians. Clean Monday, also known as Pure Monday and Ash Monday, traditionally begins on the Sunday evening before, and is seen as the last opportunity for culinary excess and partying before Lent begins.